Oil stains on carpet can be a challenge to clean. 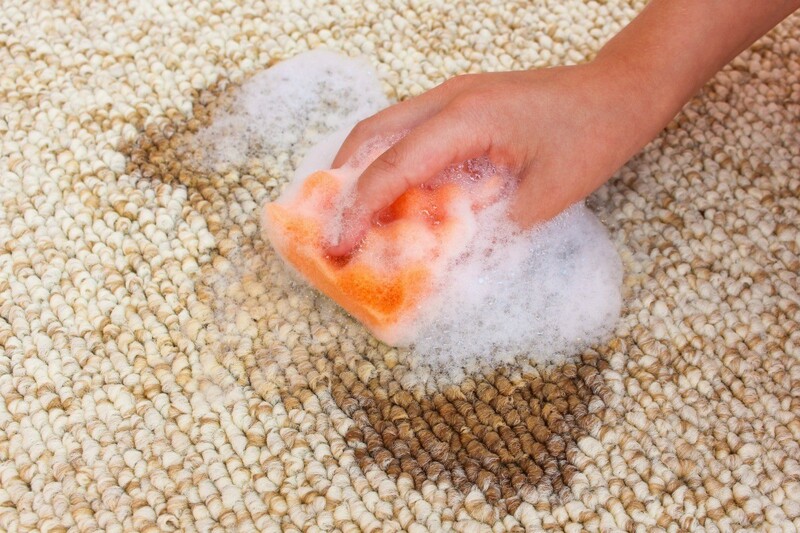 This is a guide about removing a cooking oil stain on carpet. My husband prepared to drink his morning health drink of Odwalla Superfood fruit juice with about 1-2 tablespoons of extra virgin olive oil. Well, he spilled it on our carpet. I used our Bissell steam cleaning machine with Bissell deep cleaning liquid on it, the juices came out but I can still see the oil stain. Is there anything else that I can use to remove the olive oil stain from my carpet? Hi Janice! The first thing I'll say is that I have NOT tried this BUT I know what I would try. I don't know how large your oil stains are but I would try a THIN coat of Dawn dish washing liquid and, depending on your carpet pile, rub it in either with a tooth brush or fingers (rubber gloves?). I'd let it sit for a few minutes then I'd start to rinse it out with clean water until the area doesn't suds any more. I have never had Dawn fail on getting oil stains out of laundry; fresh and old dried on stains. I hope this helps. I'm sure there will be a lot of other great ideas from the wonderful members of this site. Try using Dylon Stain Devil no 2, I think, or else put some blotting paper over the stain and iron it. Saturating the stain with cornstarch would be cheaper than the baby powder, but that's the first thing I would try. Really grind it into the stain, let it set for a day or two, and then vacuum it up. May take a couple of tries. I mixed baking soda powder with ground-up salt and rubbed it into my carpet with a broom. How can I remove it? Since then I sprayed on coconut oil, which is a solid unless it's a hot day. Thanks. I'm thinking you need to have that professionaly cleaned, if your efforts were in vain.